Featuring clean, elegant lines, the Liberty 1-3/16 in. Satin Nickel Circus Knob is a beautiful addition to kitchen or bathroom cabinetry or furniture. Make a statement without having to say anything at all when this knob is displayed. Installation is easy and the necessary hardware is included. The Amerock TEN53002G10 Allison Value 1-3/16in(30mm) DIA Knob is Finished in Satin Nickel and comes in a pack of 10. From rustic to modern-day casual to sophisticated beauty, The Allison Value Collection offers a variety of designs, making on-trend, quality hardware affordable. The classic Satin Nickel finish provides a sleek, lightly brushed, warm grey metallic look. The Amerock BP55271G10 Blackrock 1-3/16in(30mm) LGTH Knob is finished in Satin Nickel. The BlackRock collection offers sleek simplicity with a contemporary indulgence. This eclectic line boasts bold shapes and sizes. The classic Satin Nickel finish provides a sleek, lightly brushed, warm grey metallic look. The Amerock BP53718G10 Westerly 1-3/16in(30mm) DIA Knob is finished in Satin Nickel. Retro is revolutionized with an industrial twist on the classic urban lines of Westerly. Features sleek, modern lines and a substantial feel. The classic Satin Nickel finish provides a sleek, lightly brushed, warm grey metallic look. 31mm Circus Knob Featuring clean, elegant lines, the Liberty 1-3/16 in. 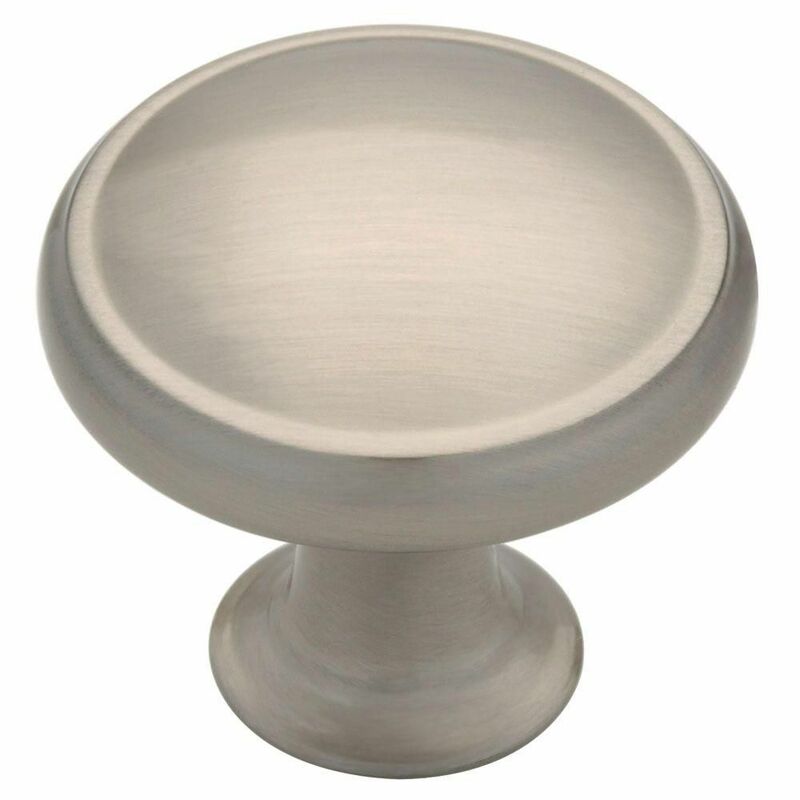 Satin Nickel Circus Knob is a beautiful addition to kitchen or bathroom cabinetry or furniture. Make a statement without having to say anything at all when this knob is displayed. Installation is easy and the necessary hardware is included.